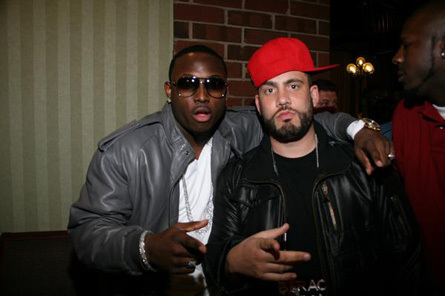 What do LeSean McCoy and DJ Drama have in common? Jadakiss. McCoy and Dream Catcher Entertainment will hold Community Day at 11 a.m. in Harrisburg on May 15th. The event will offer acitivites for all ages. McCoy will cap the night off with a performance by Jada at Eclispe Nightclub in Harrisburg. Doors open at 10 p.m.
Charles Miller, proprietor of Harrisburg-based Keep It Movin’ Garments, also has ties to Kiss. Miller told vigoronline.com that he began working with the celebrity rapper in early 2009. So months after receiving a co-sign from Jada, Miller attended Jada’s meet and greet event at the Villa (formerly Sneaker Villa) in Philadelphia. Lastly, Kiss just dropped The Champ is H3re mixtape. Jada collabs with DJ Drama and DJ Green Lantern on his latest joint.